A chartered plane carrying 81 people, including top Brazilian soccer team Chapecoense, has crashed on its approach to Medellin, Colombia, officials say. Reports say there are 25 dead and six survivors. The chartered aircraft, flying from Bolivia, was carrying members of the Chapecoense soccer team, airport officials said. 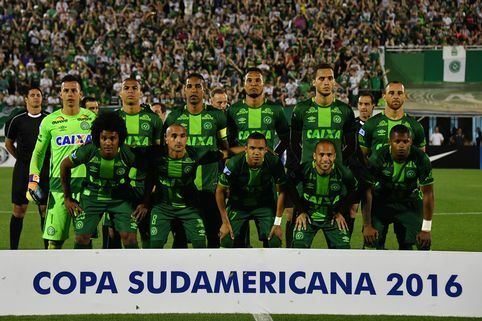 The team was due to play in the final of the Copa Sudamericana, against Colombian team Atletico Nacional. The first leg of the final of the cup, South America’s second most important club competition, was scheduled for November 30, but has now been suspended. Reports suggest that at least two members of the team – Alan Ruschel and Danilo – may have survived. The sports network Telemundo Deportes tweeted that Alan Ruschel was in shock but conscious and talking, and asked to keep his wedding ring and to see his family. The mayor of the nearby town of La Ceja confirmed that a 25-year-old player was among the survivors. He said that 25 people were known to have died. Reports say the British Aerospace 146 short-haul plane, operated by Bolivian charter airline Lamia and carrying 72 passengers and nine crew, crashed in Cerro Gordo in the municipality of La Union shortly before midnight local time. According to an airport press release, it was reporting an electrical fault to the control tower. The airport later said in a statement that “all possible aid was being mobilized because six survivors are being reported”. Poor weather has meant that the crash site, in a mountainous area, is only accessible by land. However, there was no fire on impact, which has given rescuers hope that more survivors may be found.